Now with over 20 million albums sold into their career, there can be no doubt as to why The B-52s remain one of rock music’s most beloved and enduring bands. 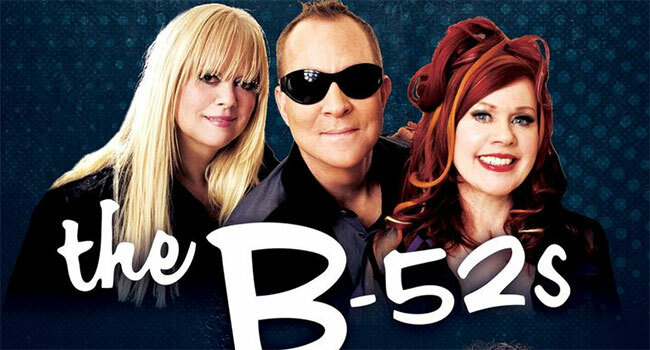 As the B-52s continue to celebrate their 40th anniversary, the band has announced a world tour that is expected to cover more than ten countries and will include a headlining North American summer tour. The 40+ city tour will kick off May 4th in West Palm Beach, FL at Sunfest and finishes in New York City on September 24th at Summer Stage in Central Park. Tickets for the tour are on sale on April 12th at 10 am local time. Full tour dates below with more expected to be added in the future. OMD and BERLIN will support on select North American dates. In 2018, the B-52s began their 40th anniversary celebration in style, co-headlining a massively successful American tour with Culture Club and Thompson Twins, taking over venues across the country. Continuing the festivities, Da Capo Press/Hachette Books has announced plans to publish the first-ever official history of the band in 2020. Meanwhile, the B-52s have joined forces with Executive Producer Fred Armisen and Director Craig Johnson (Skelton Twins, Wilson, Alex Strangelove) to develop an authorized documentary film of the group.